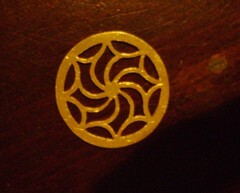 Andrew S. Harmon » Blog Archive » My first metal smithing project. This entry was posted on Thursday, January 22nd, 2009 at 10:50 am	and is filed under All, Italy. That’s pretty cool looking, how big is it? Wonderful picture from Lucca as well.